The Question Remains Relevent: Who Are The Real Terrorists? Indeed, when Muslims retaliate in an act of defense they label it as terrorism by Islam and/or Muslims or "scoff" at it as a pejorative JIHAD. However, when peoples of other faiths commit heinous crimes on Muslims, they invoke either justifying or exempting circumstances by virtue of self defense or as an act of defense against sovereignty which justifies the State to compel every citizen to defend it. We all know what happened in Palestine, Iraq, Chechnya or in Bosnia but despite overt or even flagrant manifestations of oppression, persecution, and genocide upon Muslims and other faiths--- it will NEVER compel the international community to mobilize GLOBALLY against ORTHODOX CATHOLICS just as they are wont to do in either unilateral or otherwise concerted effort to mobilize globally in their so-called FIGHT AGAINST (ISLAM_MUSLIMS) TERRORISM. 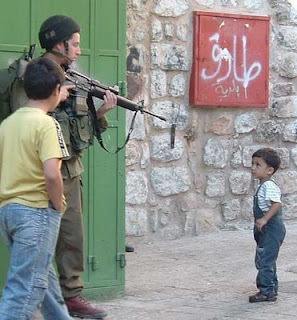 Thus, I resonate my virtual rhetorical question: Who are the REAL TERRORISTS? "The believers, men and women, are Auliyâ' (helpers, supporters, friends, protectors) of one another…" (At-Tawba : 71). "The Muslim is the brother of another Muslim; he does not oppress him, nor does he deceive him, nor does he give him up to the enemy, nor does he look down on him." (Narrated by Muslim).